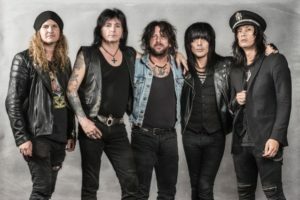 L.A. Guns’ New Album, “The Broken Peace” was released today. Found on iTunes, Amazon among others. I have not listened to it as of yet, but the band’s shows and current lineup are more than encouraging. Loading it onto my phone as I type this. The track listing for The Missing Peace is. Found on iTunes, Amazon among others. Watch this space for a review sometime soon. Previous story Frank Wood doing what he does best. . .
Ian Hunter hits Montclair NJ in November!